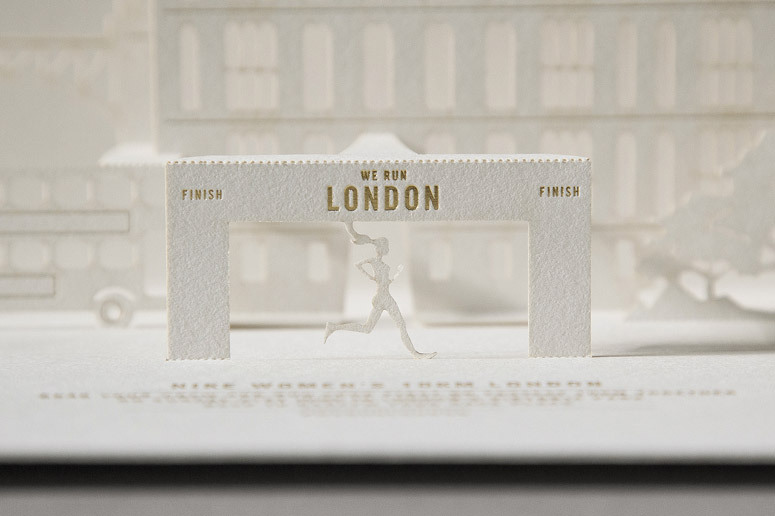 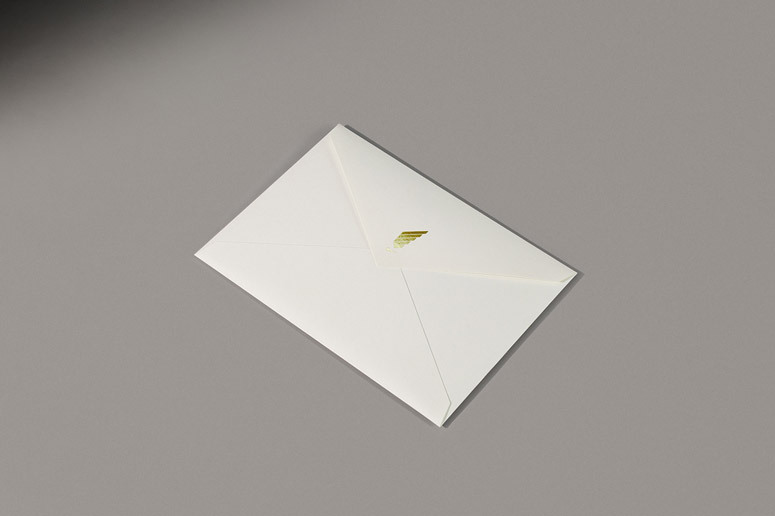 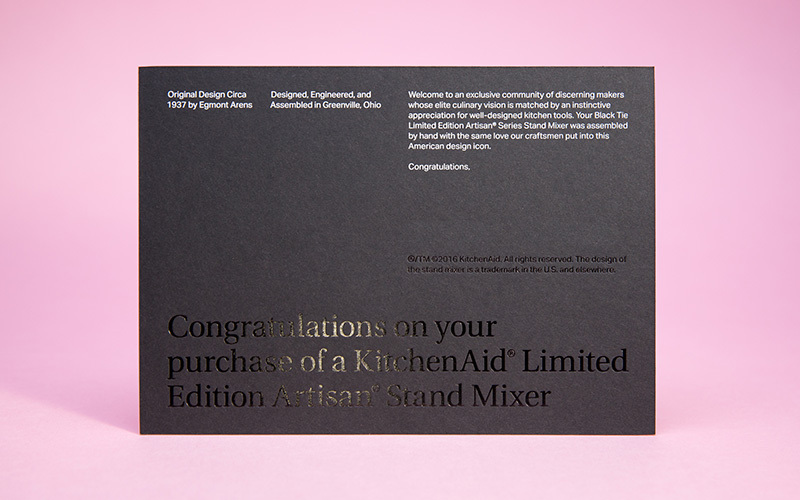 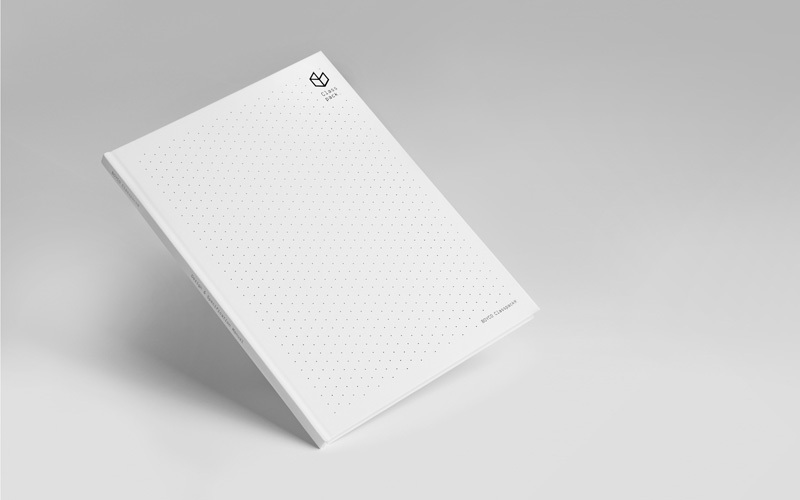 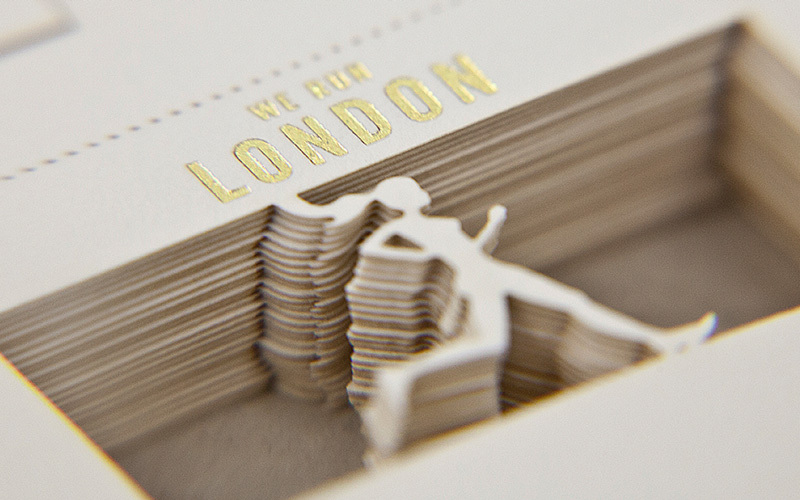 We were asked by London agency Exposure to design and produce the limited edition invitation for the 10k Women Marathon that took place in London last June 21st.They wanted the invitation to speak by itself, with a passion for minimalism that we strongly encouraged and they really appreciated. 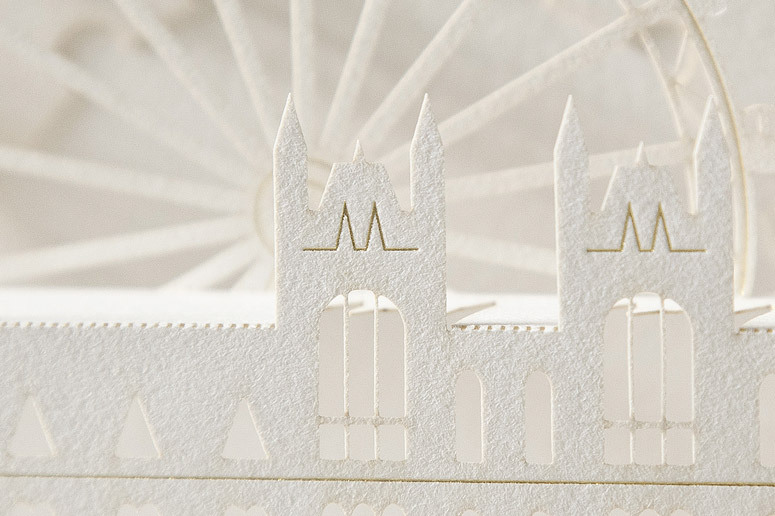 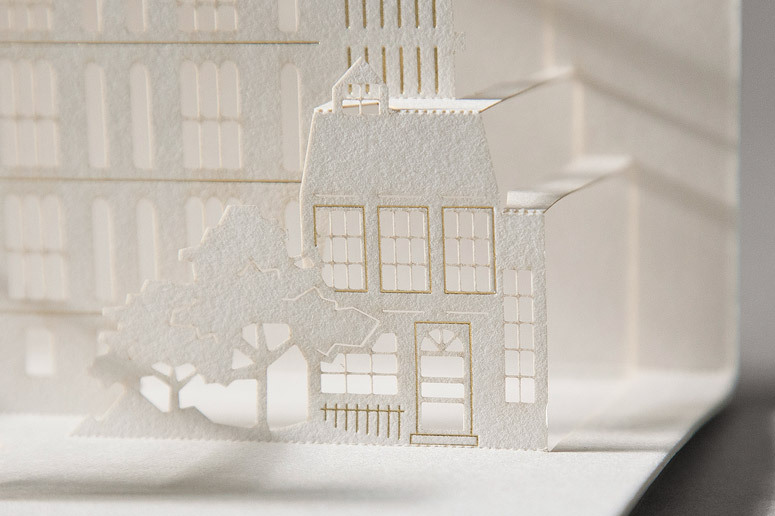 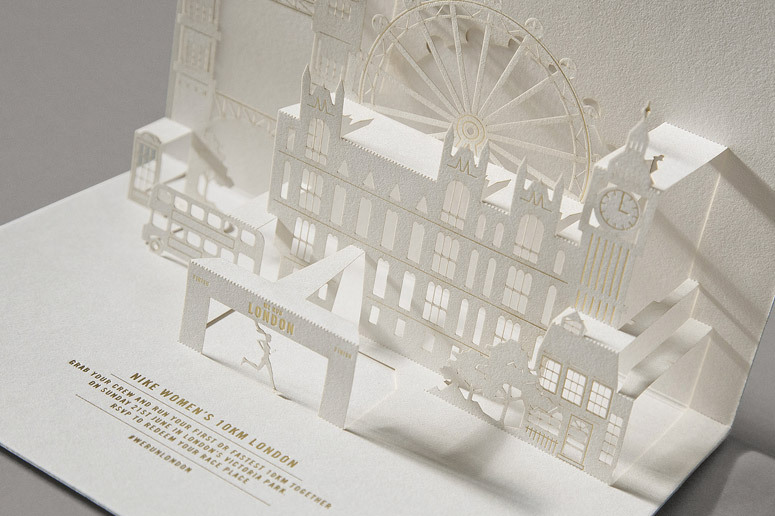 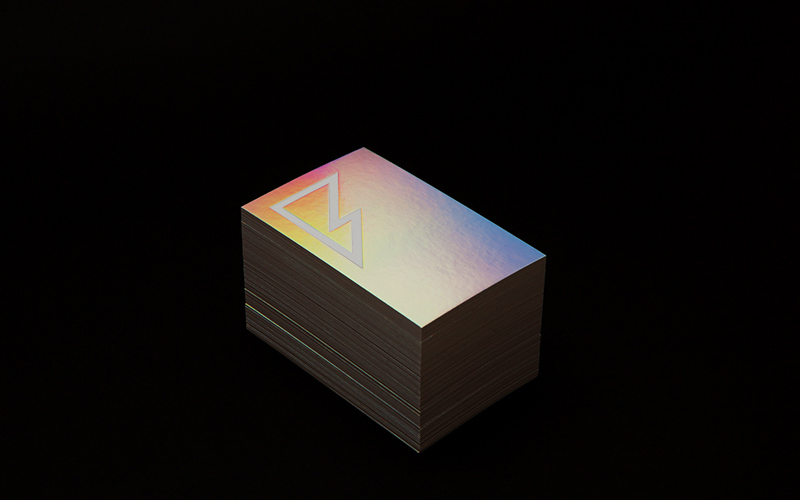 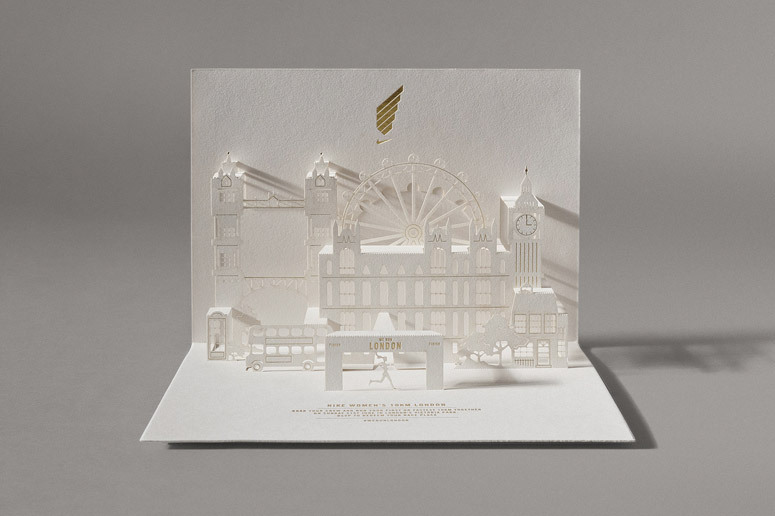 Cleverly deemed NIKirigami by the designers at Italian studio Happycentro, this laser cut and foil stamped invitation utilizes kirigami—a form of origami that includes cutting of the paper in addition to folding. 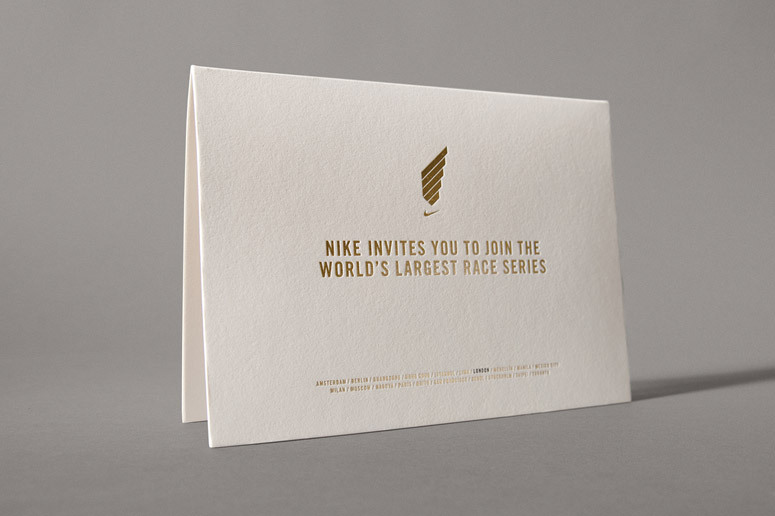 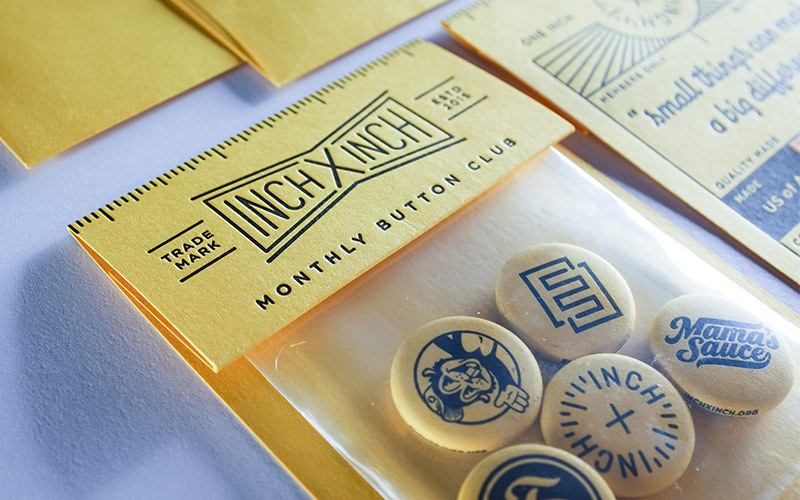 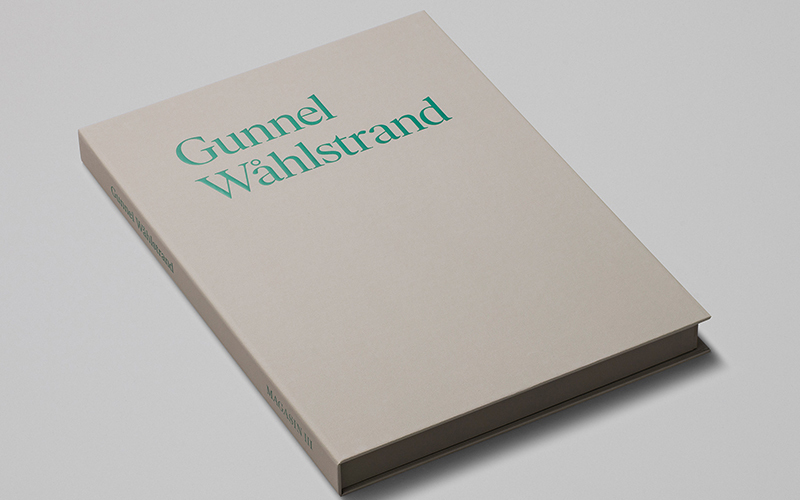 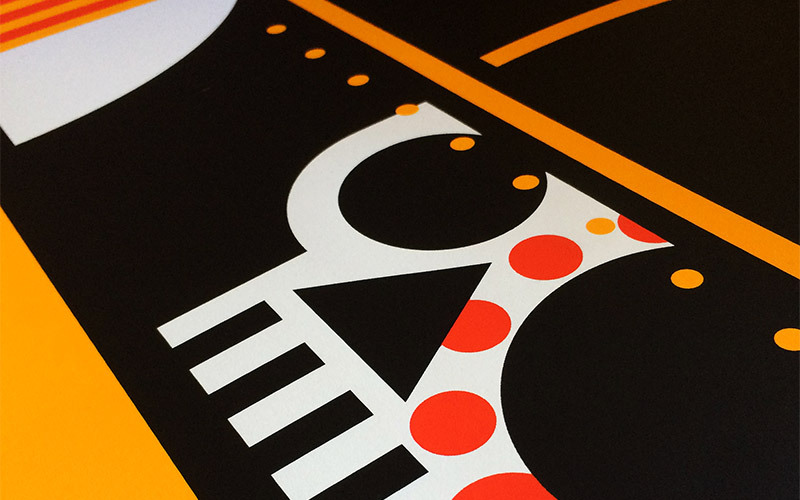 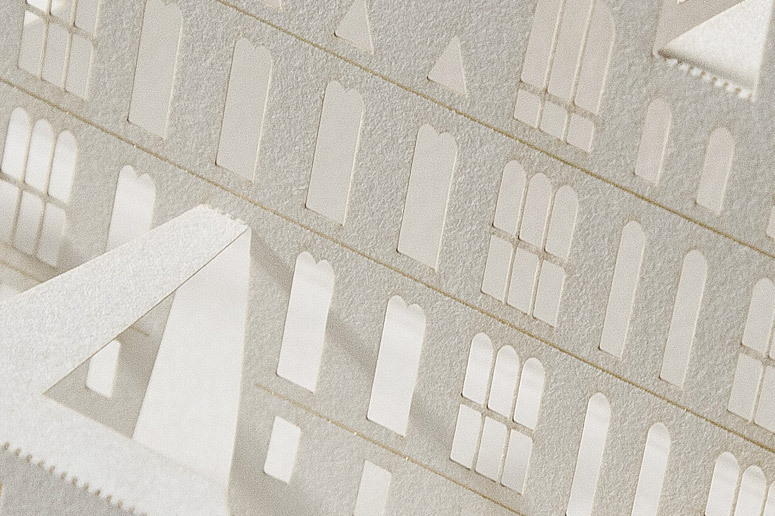 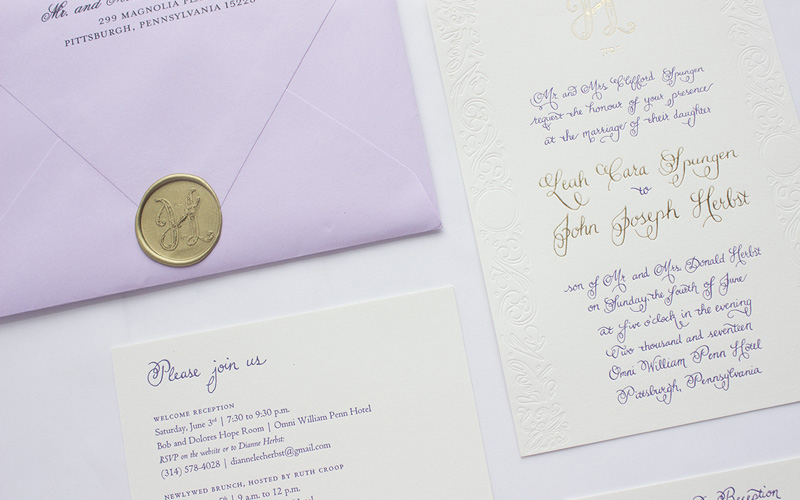 Each invitation was hand-assembled.